Yudanaka Onsen 湯田中泉 is quite a big town with many amenities that you would normally expect to find. The town dates back over 1,350 years and there are still a number of old style buildings that are scattered around the central district, such as in in Yudanaka-dori. There are also many restaurants and bars to be enjoyed. Check out the Yudanaka Onsen accommodation options below or try our secure search engine to get the best Snow Monkey accommodation deals. Book Yudanaka Onsen accommodation – great deals and instant confirmation! Yudanaka Seifu-so is a traditional Japanese style guesthouse located in Yudanaka Onsen. Free breakfast and LAN connections provided. The building was built during the Meiji era (1868-1912) with a traditional inner garden too. All of the 15 guest rooms are Japanese-style rooms with tatami mats. Guests can use the onsen privately upon request (for free). Yorozuya Hotel has long been known as one of the leading hotels in northern Nagano. The large wooden bathtub on the premises has been designated as national cultural property. After a dip in history, guests can also enjoy soaking in the large open-air hot-spring bath. Hotel Tsubakino is a modern ryokan (traditional hotel) located in Yudanaka Onsen, a small town famous for hot springs and surrounded by the most beautiful mountains of Nagano. Hotel Tsubakino offers both modern convenience and traditional Japanese atmosphere. Guests can enjoy a spectacular view of the northern Japanese Alps while soaking in the outdoor hot tubs (private onsen available). Only just a 5-minute walk away from Yudanaka Station, Japanese-style hotel Ryokan Hakura is well equipped for disabled guests. 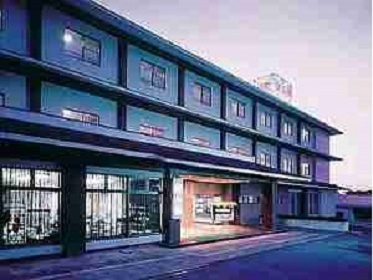 It offers spacious rooms, hot spring baths and a rooftop cafe. Rooms in Hakura Ryokan are furnished with contemporary amenities, including a flat-screen TV and some rooms have free Wi-Fi. Ryokan Hakura is just a 30-minute drive from Jigokudani Monkey Park, and a 40-minute drive from ski resort Shiga Kogen. A free shuttle from Yudanaka Station is available on request. The ryokan’s restaurant takes special pride in its fresh home-grown vegetables, and serves local as well as Western dishes. The rooftop beer garden is open during warm seasons.